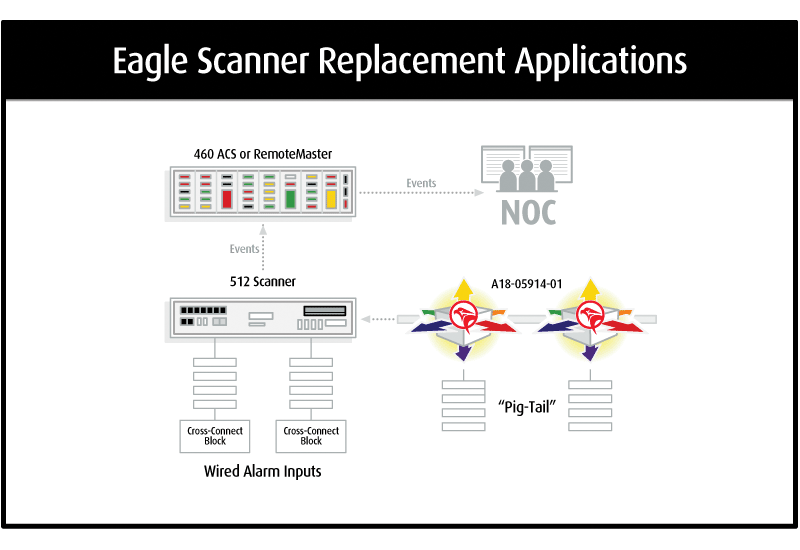 Dantel’s legacy Alarm and Control Interface, also known as Scanners or 512 Scanners, can be directly upgraded and/or replaced if defective, in a matter of minutes. Because of the pre-connectorized quick-connect approach, precious labor resources and associated costs are avoided. 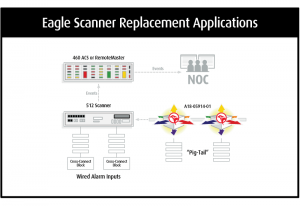 The PointMaster Eagle replacement solution utilizes the same rack space as the existing Scanners, further simplifying the upgrade process. What’s more, your alarm network is immediately transformed to the latest technology, fully leveraging the PointMaster Eagle’s robust features and capabilities. 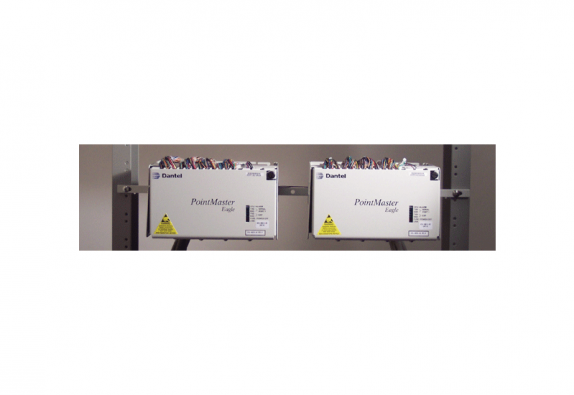 The PointMaster Eagle is the premier alarm monitoring solution offering simultaneous communications over several protocols including SNMP, TL1, DCPF, DCM, TBOS, TABS and Serial, modem or 10/100 BaseT Ethernet IP interfaces.